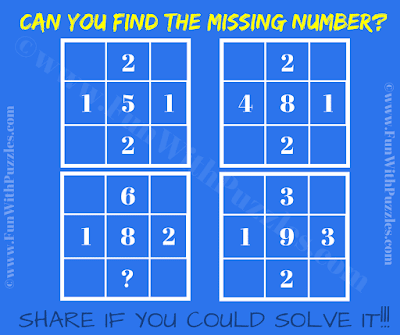 This Number Puzzle with Square Pictures will test not only your Maths Skills but also your logical skills. In the Math Brain Puzzle, you are given five number each in four squares. In each of the given Square, these five numbers has some Mathematical relationship. Can you decode this Maths Relationship among the given 5 numbers and then find the value of missing number? 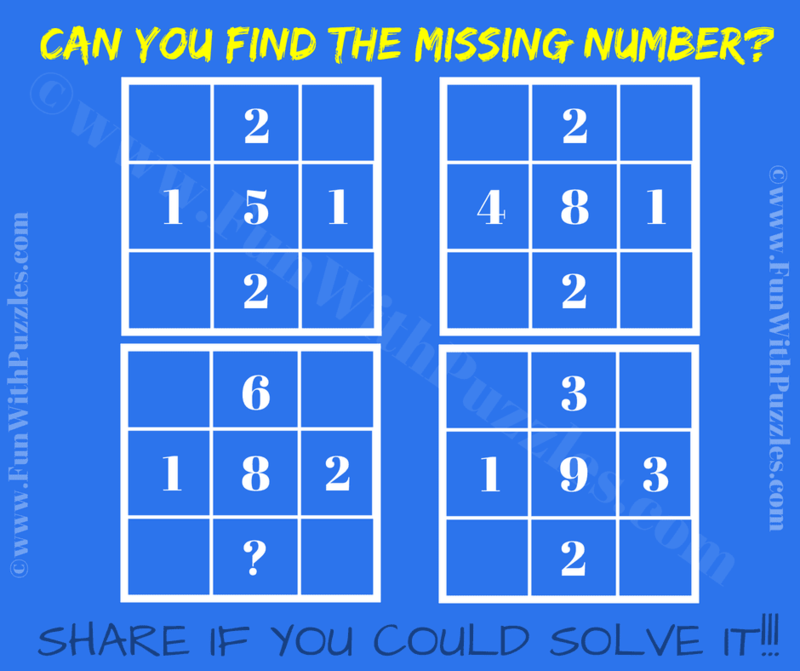 Answer of this "Number Puzzle with Picture for Adults", can be viewed by clicking on button. Please do give your best try before looking at the answer. Multiply upper and lower number to get A. Multiply left and right side number to get B.
A+B gives the value of the central number in the Square.